At J's Clean & Green Team, we believe that live plants add a beauty to any room in your home or business. Contact (530) 410-0350 today to find out more about our live plant care services. J's Clean & Green Team offers interior plant care for your home or business. We specialize in live plants, unique arrangements and designing to fit your specific needs. Let us explore the many options available including high and low light plants. Leave the fuss to us while you enjoy the benefits of oxygenating and beautifying your space with live plants. Take advantage of our weekly maintenance service to keep your plants thriving. Professional installation and world class customer service set us apart. We offer a variety of plants and arrangements to purchase or rent for your social and corporate occasions. 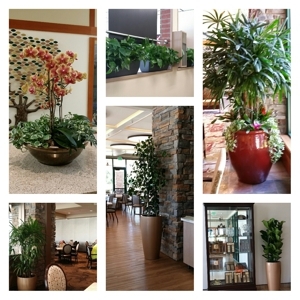 Leave the fuss to us while you enjoy the benefits of oxygenating and beautifying your space with live plants. J's Clean & Green Team specializes in Orchid Bromeliad and green foliage arrangements, as well as we will make custom and beautiful floral arrangements for you for any occasion.